The members of 2PM started when Korean musician Park Jin-young formed an eleven-member band known as One Day. Eventually the band was split into 2PM and a similar but independent group known as 2AM. 2PM debuted with the song "10 Jeom Manjeome 10 Jeom" (10점 만점에 10점, lit. "10 Points Out of 10 Points"), which showcased their acrobatic dance styles. They achieved their first number 1 single with "Again & Again". Both singles featured on their first studio album, The First Album 1:59PM, released in 2009. The band went on to release another Korean album, known as Hands Up, in 2011. 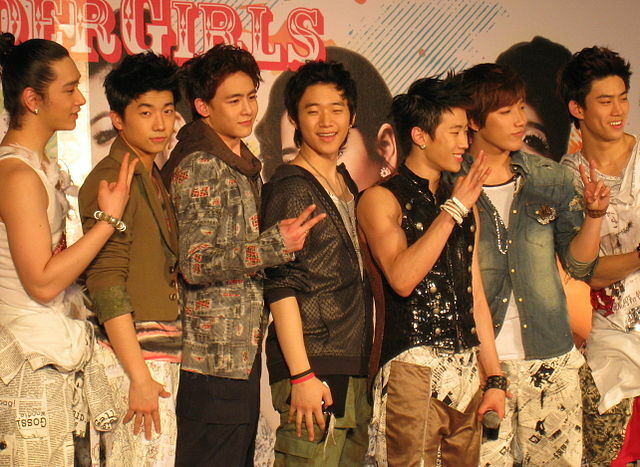 They made their Japanese debut later that year with Republic of 2PM. After more than a year, the group returned in 2013 with their third studio album Grown. In early September 2014, 2PM returned with their fourth studio album Go Crazy. On 15 June 2015, 2PM made a comeback with their fifth studio album No.5. After much anticipation 2PM re 13 September 2016 with their sixth studio album Gentlemen's Game. Characters Nathan(OC), f(x), Red Velvet, EXO, Big Bang, 2NE1, Blackpink, Gugudan, SNSD, SUJU, Shinee, Miss A, 2PM, Got7, Twice, etc.